It’s understandable: repiping your entire home can seem like a daunting task. It is a large undertaking and doing so requires a lot of experience. However, pipes are not meant to last forever and will eventually age past the point of no return. But, don’t worry just yet — whole house repiping is only recommended when it is absolutely necessary. If you have found yourself in the position of dealing with constant plumbing issues, it may be time to hire a plumber in Winder, GA for whole-house repiping services. Repiping is the most efficient and safest way to protect your home leaks and water damage due to old, corroded pipes. If you are unsure whether or not you may need whole-house repiping, keep reading. Below, we have outlined some of the signs that suggest it’s time for these services. 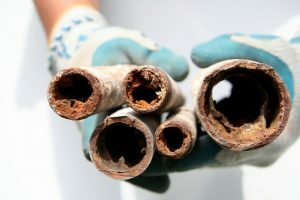 Posted in Plumbing | Comments Off on Whole-House Repiping: Is it Necessary?